Ankle support arch corrective house shoes for kidsQuality corrective house shoes for a toddler from France.Velour slippers for a child with arches.Decorated with pirate and parrotVelcro closure.Ankles will not pronated in those house shoes.Have heel support fo..
Boiled wool slippers for kidsBest orthopedic arch support for kids.Quality wool house shoes made in France for a child. Orthopedic high arch baby slippers with leather archesSide zipper closings - easy. Slippers recommended for a child that needs good ankle su..
Best shoes for kids feet with low arches Running sneakers for kids with flat feet.Toddler tip toe walking corrective sneakers. Decorated with blue/off white leather lines. Metal hook velcro closure. Fully adjustable style for better fit. 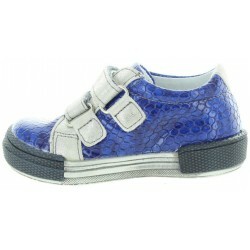 High arch pr..
Toddler boys shoes with arch support best for wide feet. Arch high top visible inside those sturdy sneakers. Orthopedic sneakers with good arches for kidsFoot forming best orthopedic as they should be for every child. Made out of gray and red leather.Double cl..
European leather flats for wide feet with good archElegant ballerina shoes for any woman with style.Gray leather decorated with decorative huge decorative buckle.Superior quality shoes perfect for all year round wear.Made in Europe with best leather, soft well.. Pink sneakers for toddlers with wide toe boxBest for wide feet and high instep. European made orthopedic shoes for girls.Shoes for a toddler with weak ankles.Featuring ankle supportive heel that keeps feet in a packet preventing pronation. Pronation best high .. Kids shoes pronation and flat feetHeel supportive with stiff back and visible high arches.They would support your toddlers feet and provided needed support. Shoes as those are best ortho shoes for a child that every child need. Black patent dress baby walking ..